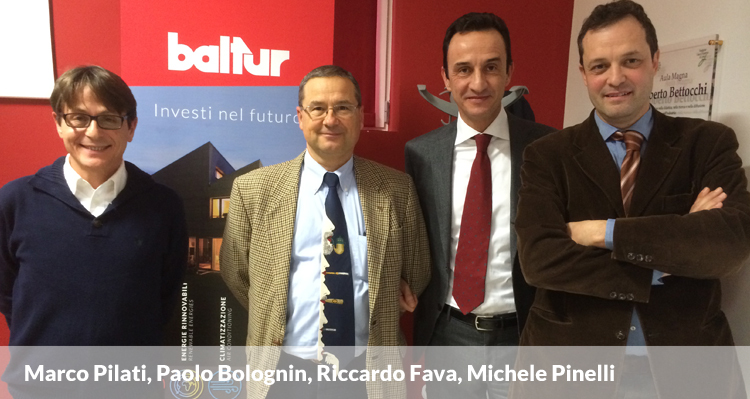 Since October 2014 Baltur has been working on a research project funded by the Region of Emilia Romagna in a framework of "Assistance for industrial research of companies operating in the sectors most affected by the earthquake of May 2012". The company has invested about €1,500,000 in this project, of which €550,000 were financed by the Region of Emilia Romagna. Some of the overall results were on display at the workshop "Industry 4.0: The road to Cyber-Physical Systems applied to industrial burners" held February 8th at CenTec, the technological wing of the University of Ferrara in Cento. During the workshop, which was also attended by our CEO and Managing Director Riccardo Fava, a pioneering project was presented that was developed in partnership with the Department of Engineering of the University of Ferrara and with the innovative start-ups Fluid-A and Fancy Pixel. 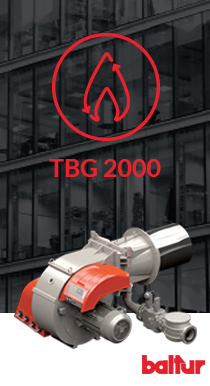 The spirit of research and innovation, imprinted in Baltur's company DNA, has combined the development of low-emission burners up to 50 MW with an advanced system that implements the technologies used in Industry 4.0. Along with Paolo Bolognin and Amadio Marco Pilati from Baltur, key speakers at the workshop were Professor Michele Pinelli from the University of Ferrara, Alessandro Carandina of Fluid-A and Giovanni Foiani from Fancy Pixel. Our director of Research & Development Paolo Bolognin got into the details of the project, explaining how a traditional heating plant can be innovative thanks to a modern combustion control system, a network of sensors and an acquisition and remote diagnosis system. "By bringing together different digital technologies, we have designed and implemented a development platform through which - starting from the process data monitored in real time and collected, logged and processed in a cloud infrastructure - it is possible to continuously monitor the system and quantify the effectiveness of the operation".